One of my children was born under similar conditions. 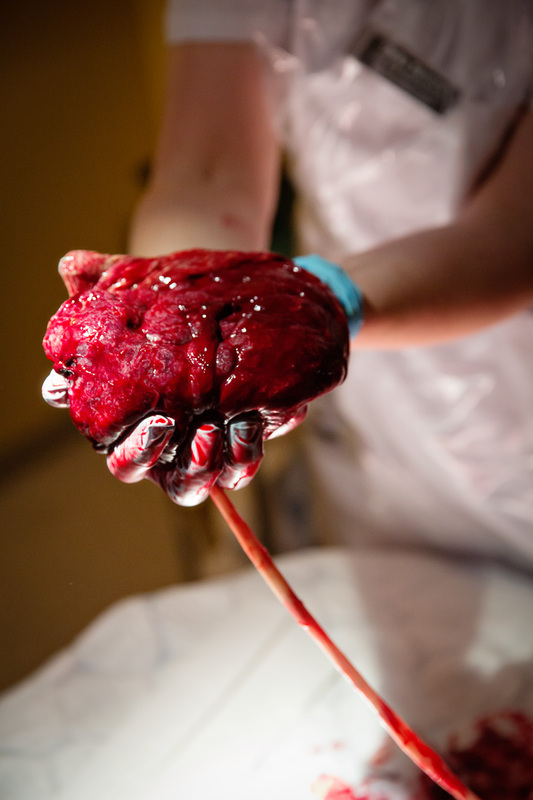 Placenta abruption. In the middle of labor I started to bleed and they made me first wait for an ultrasound to rule out placenta previa. Then as soon as his head was out the midwife pulled him out the rest of the way. She immediately cut the cord and they took him to the table and started resuscitation. Then they kept him in NICU for 2 days on nothing more than an IV (to "not stress his system") and two more days before I could take him home. Not long after that I read a story of a homebirth with the same conditions I had, but when her baby was born, they put the baby on momma's chest with cord still attached. They then watched and rubbed the baby (with EMTs on standby outside) as he pinked up and began to suckle. This makes more sense to me. THANK YOU for posting this! We need to pay greater attention to the physiology of birth and quit interfering with this process whenever possible! I'm a Norwegian midwife, and I've tried this myself twice, it works perfectly well, and no more resuscitation efforts have been necessary!